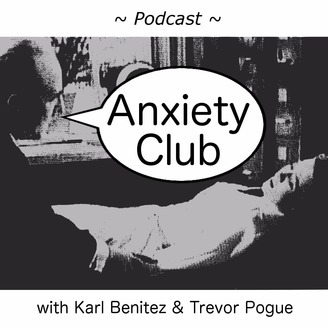 Anxiety Club is a podcast hosted by Karl Benitez & Trevor Keaton Pogue, two professional non-professionals offering honest discourse about life's biggest questions. The show is about connecting with people and hearing stories of their hardships, trials, and tribulations, and what it takes to (if possible) get past these struggles and towards the goal of success and personal growth. We all have anxiety about the meaning of life. Welcome to the club. 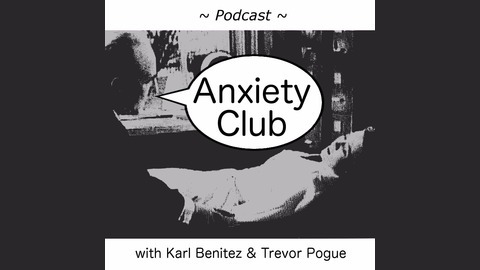 Facebook: facebook.com/anxietyclubpodcast Contribute money for the production of this show: paypal.me/karlbenitez Trevor's articles on Medium: https://tinyurl.com/TrevorKeatonPogue Karl Benitez Audio / Video Production: http://karlbav.com/ Trevor Keaton Pogue: trevorkeatonpogue.wixsite.com/work. Comment on the podcast and weigh in on our conversation by sending a message to anxietyclubpodcast@gmail.com. We'd love to hear from you! Please donate cash for the production of this podcast by sending money to PayPal.me/KarlBenitez Trevor has purchased health insurance for himself and has a lot of opinions about it. The guys talk in general about insurance and their relationship with health and the medical industry, but also recount some early on medical maladies they had in their youth, specifically Trevor's crossed eyes and Karl's quick-trigger bloody noses. Who knew we were so sickly! In true Anxiety Club fashion, discussion about the existence of free will comes up at the end and things get weird. Trevor and Karl also discuss the meaning of life. Music: Opening Theme: "The Meaning of Life Blues" by Karl Benitez Closing Theme: "Bills, Bills, Bills" by Destiny's Child THANKS FOR LISTENING!